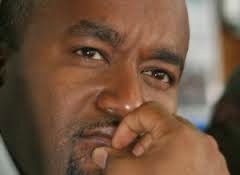 Joho has been kicked out of former Coast provincial headquarters building and told to look for accommodation elsewhere as the national government was not willing to share the offices with him. Mombasa county commissioner Nelson Marwa said recently that Uhuru na Kazi building is exclusive for housing national government departments and important security equipment. The National Intelligence Service is based in the building’s sixth floor. Marwa said he had identified a plot where the county government could put up a building with as many as 14 floors to house Joho and all his staff. He added that the county government had been given enough offices in town citing as an example, the Betting and Control Board building, Bima Towers and the old Municipal council offices. He wondered what the problem is if the national government remains with Uhuru Na Kazi building. However, a furious Joho claimed politics was behind the relocation of his offices from Uhuru Na Kazi building by the county commissioner. “The building belongs to the public not President Kenyatta, Ole Lenku or Marwa. Raila Odinga is my party leader and I will continue talking to him whether Marwa likes it or not,” he retorted. Late last year, county secretary Hamisi Mwaguya announced that the governor had been allocated second, third and fifth floors in the Uhuru Na Kazi building to house the governor, his deputy Hazel Katana, support staff and the county treasury. He said the cost of repairs for the three floors which included partitioning, painting, reconstruction of the entrance among other things was estimated to cost Sh20 million. The works were to start in November last year and were to take a month before the governor could move in. The county secretary also indicated then that the county government would continue to share the building with other national government officers occupying the other floors until when alternative offices would be found for them. But now it is the reverse that has been witnessed. Marwa has further rattled Joho by directing that police cars donated by the county government be under the control of police officers and not county government askaris whom the county commissioner accused of being pre-occupied with seeking for bribes as opposed to beefing up security in the county. The county commissioner alluded that the county askaris may have been pocketed by drug dealers with whom they collude to defeat justice. Last week, an agitated Joho took Marwa head on, accusing him of failing the people of Mombasa on security issues. He added that he was not ready to allow “small people” like the county commissioner to intimidate him. He claimed Marwa had failed in his duties and needed to be replaced. Sources have claimed that the governor has vowed to make Marwa’s life difficult in the port city. However, it was not immediately clear how he intends to achieve this given that Marwa, besides being the chairman of the security in the county is highly regarded both by his bosses and the common man as a performer. Marwa is the most famous county commissioner in the republic. He is regarded as a no- nonsense administrator who speaks openly on security and public interest issues. Those close to him say he is not corrupt and is accessible to all who seek for his services. 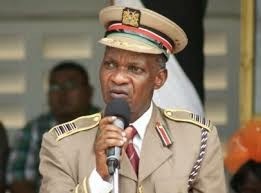 Mombasa media fraternity is also fond of Marwa due to his open policy. Journalists easily clarify their stories from the county commissioner on short notice, it is pointed out. Unconfirmed sources have it that due to the governor’s incessant criticism of security officers in the port city, the privilege of being assigned police outriders to clear traffic for him will soon be withdrawn.